Law degree from ESADE Business & Law School in Barcelona (2009-2013). In 2012, she obtained a grant from the ERASMUS exchange programme to study at the prestigious Università Commerciale Luigi Bocconi in Milan. In 2013, she attended the dual Master Programme from ESADE Business & Law School: Master in International Buisiness Law and Master in Legal Practice. She furthered her professional development in “Osborne Clarke Law Firm” at the corporate law department, where she was actively involved in cross-border and national business operations; Barcelona, 2014. In 2015, she started an academic semester in the US city of Boston, obtaining the Certificate in Advanced English (CAE) from Cambridge University and a Diploma in Advanced Legal Business English. 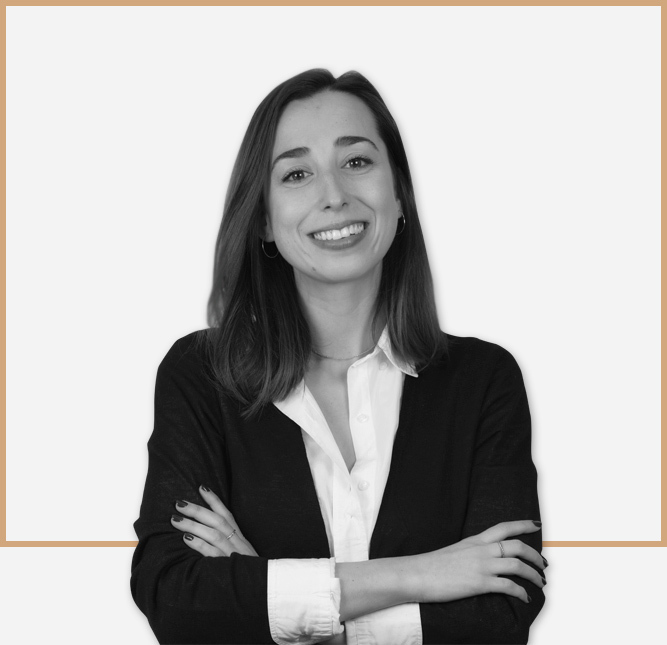 She joined Lafuente Abogados in 2016. Member of the Balearic Islands Bar Association (ICAIB), no. 6.260.